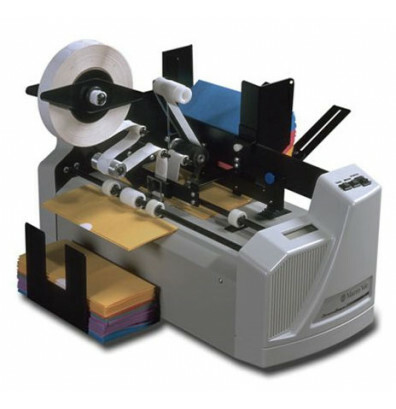 The Martin Yale EX5100 tabs documents of many varieties at a speed of up to 7,500 pieces per hour. Unit works with either pin-fed or friction fed tabs. Key features include extremely quiet operation, permanent batch counter and electronic adjustment of tab location for equal centering. Built-in diagnostic testing makes troubleshooting the machine simple.